One of the most integrated manufacturers of Identification and Branding Products in the United States. Offers start-to-finish production and promotion, all backed by the most aggressive guarantees in the industry. Namify was ranked by New York’s Inc Magazine as the #12 Fastest Growing Private Manufacturer in America in 2008. A private real estate holding firm based in Provo, UT. Specializes in Single and Multi-Family dwellings. U.S. manufacturer of Identification Products and Accessories, founded in 2001. Offers same-day production for nametags, badge accessories, small signs, and giveaways. A comprehensive online sports database that makes it easy to keep on top of all your stats and teams while interacting with other users. This social media site takes the guesswork out of managing sports and allows users to track their progress. 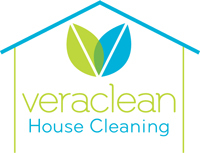 Veraclean offers non-toxic, professional office and house cleaning services in Arvada, Castle Rock, Centennial, Denver, Highlands Ranch, Ken Karyl, Littleton, Lone Tree, Parker, Roxborough, and Westminster, CO at affordable prices to suit your budget. Online division of Engraving Etc. Offers same-day personalization services for nametags, keyrings, signs, gifts, apparel, and more. The exclusive home of Wickify performance wear. The Wickify t-shirt is a dry-release, pique mesh shirt made from 100% Polyester. They are well designed and priced for medium to very large events. Wholesale supplier to over 60,000 reselling distributors nationwide. Offers in-house production of name badge products, signs, lanyards, apparel, and personalization services. Lodge Rental located in the heart of Utah. The expansive grounds and accomoda tions for 60+ make the space ideal for company retreats and family gatherings. See our site for more information. Online supplier of wholesale and retail keyrings, keychains, charms, and promotional giveaways. Online tool allowing clients to personalize and create tile designs. Capable of transforming images into one-of-a-kind tile projects. 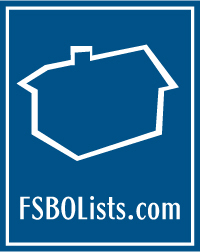 FSBO Lists is the industry leader in For Sale By Owner lead generation and training. We research more sources (newspapers, magazines and websites) and find more leads in more counties than any other FSBO lead provider. Low cost supplier of tactful advertising products and memorial items to Funeral Home industry. Sells blank and customized badge making supplies and equipment to over 4000 Awards and Recognition professionals worldwide. National supplier for blank and custom neck lanyards. Offers hundreds of custom options for lanyards and provides fulfillment for other printed, engraved, and embroidered items. Ranked #1 for lanyards by Yahoo! and Google. Online supplier of custom No Soliciting signs, door accessories, and other practical signs. Benini’s is restaurant chain that gives you the 100% gourmet-pizza experience in 5 minutes or less. Choose from the freshest ingredients and it built your way every time.